Hi scrappers, this is Kate from Sassy and Scrappy. 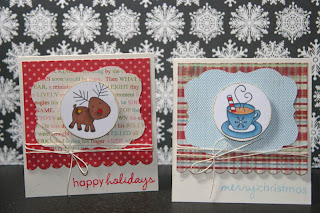 Today I'm sharing a couple of holiday cards with you. 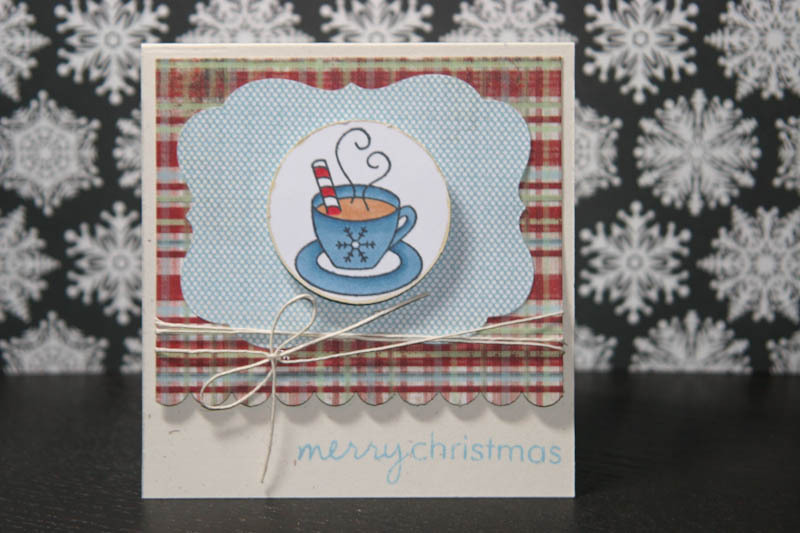 I have a fun stamp set from Papertrey Ink with all kinds of "petite" images. I didn't want them to be overwhelmed by the card so I slimmed down my cards to 4 1/4 by 4-inches, which will still fit in a standard size envelop. I stamped a bunch of images and then colored them with my Copics. As the holidays approach we all find ourselves busier than ever, so I wanted to simplify my cards, this way I can still deliver a handmade item without overwhelming myself in the process. Scallop Border Punch: Stampin' Up! Thank you so much for stopping by today. I hope these cards provide some inspiration for you! 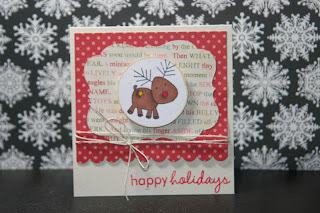 Stop by my blog for more holiday fun. I love your cards! So cute! Oh Kate these are so CUTE!! I love them - the small image with the gorgeous paper is perfect! Love the twine too! Fabulous girly! 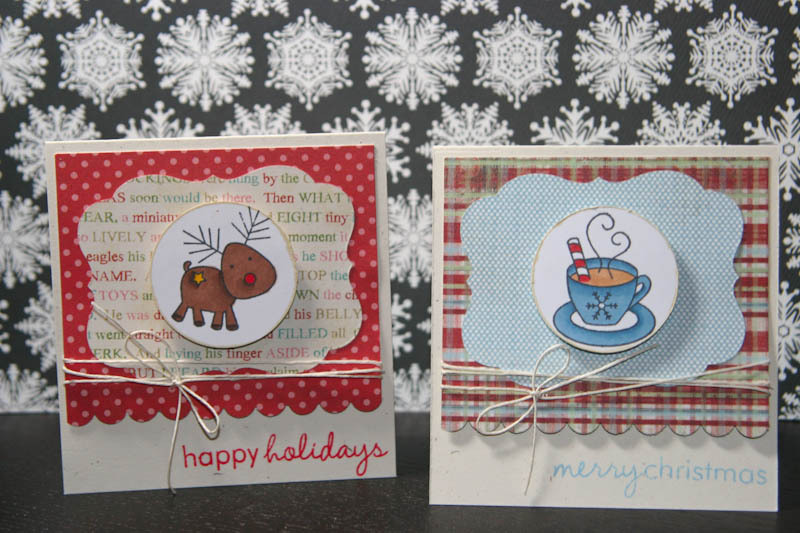 Kate, these cards are wonderful!!! Sooo cute! Kate I always love your coloring! Thanks for sharing!